Elite police unit Rapid Action Battalion (RAB) has arrested six people along with 240,000 tablets of contraband methamphetamine-based yaba at Chattogram. 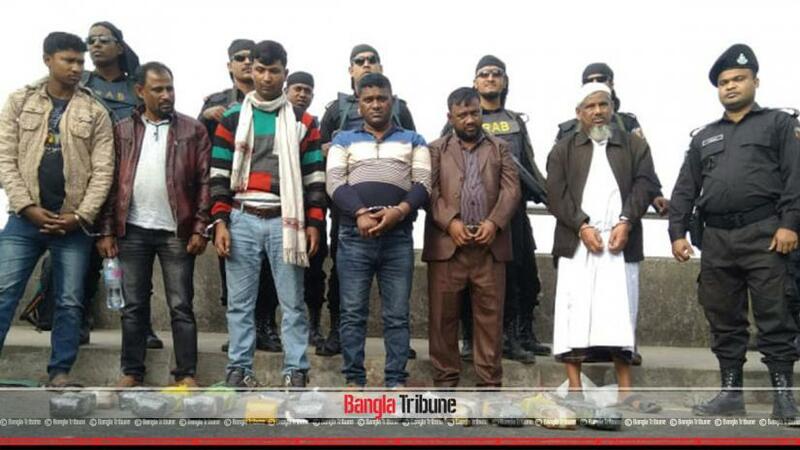 The yaba peddlers were arrested in a drive around 6.30am on Saturday (Feb 9) from a picnic bus near Karnaphuli Shah Amanat Bridge in the port city, said RAB. The arrestees have been identified as the bus owner Atiar Rahman, 55, bus driver Mohammad Jewel, 39, Babul, 47, Masud Rana, 31, Iqbal Hossain, 37 and Aminur Rahman Sumon, 23. “Acting on a tip-off, RAB set up a check post early on Saturday,” said RAB-7 Deputy Commander Shafayat Jamil Fahim at a media briefing at 8am on Saturday. He added that after the bus was checked they seized 240,000 tablets of the drugs. “RAB detained six people including the bus owner over the matter,” said Fahim.